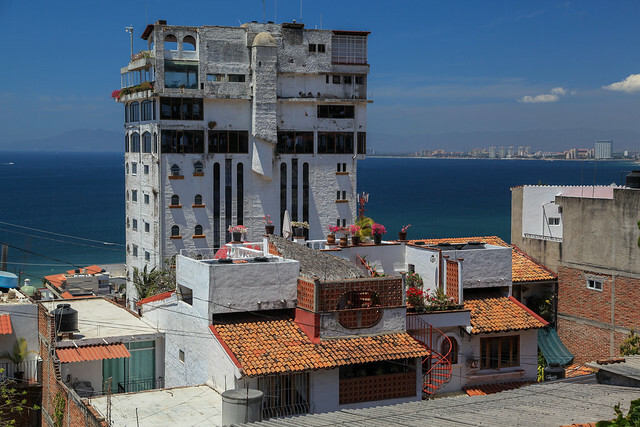 When I visit a highly traveled spot like Puerto Vallarta, it’s fun to explore a unique aspect of the environment that a typical tourist wouldn’t pay attention to. The red adobe brickwork is a key feature of this popular tourist destination. My guide offered to take me to where these bricks are hand made, and I happily agreed. 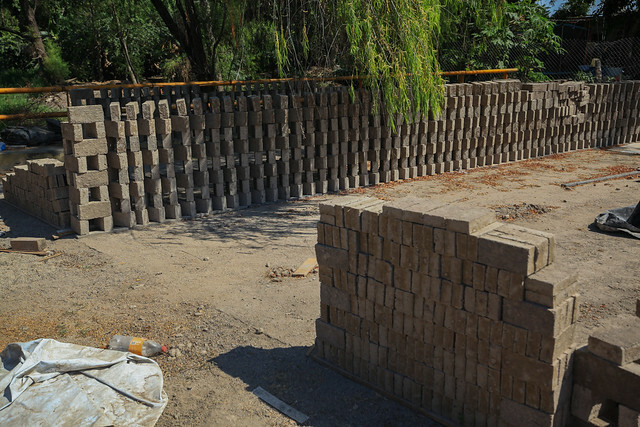 He said with the advent of mass produced bricks and places like home depot, bricks made the traditional way have become more of a novelty and are more expensive for building. 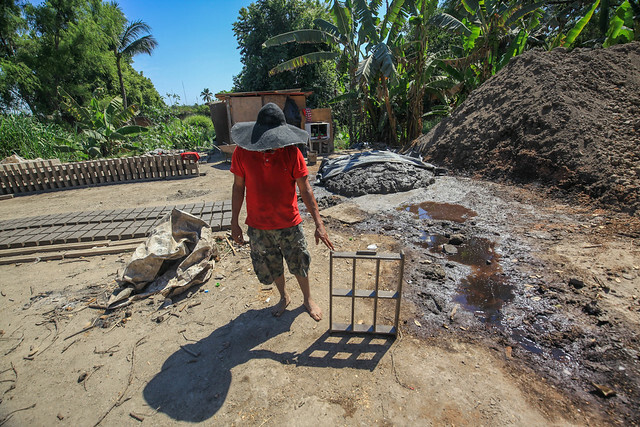 He took pride in the fact that he uses these handmade bricks for his own house. 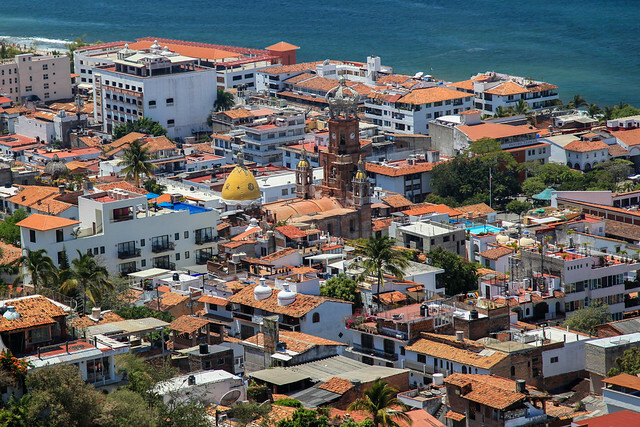 1: This is the view of coastal Puerto Vallarta from a 1920s lighthouse. 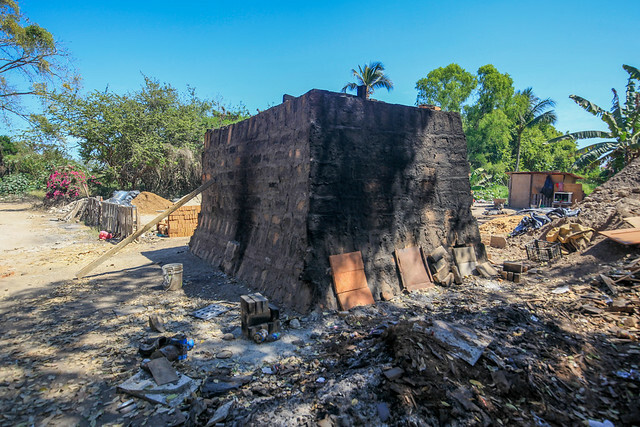 It’s easy to make out the the red and burnt adobe walls and roof tiles. In the center it’s easy to make out the Church of Our Lady of Guadalupe, also built using adobe brick. 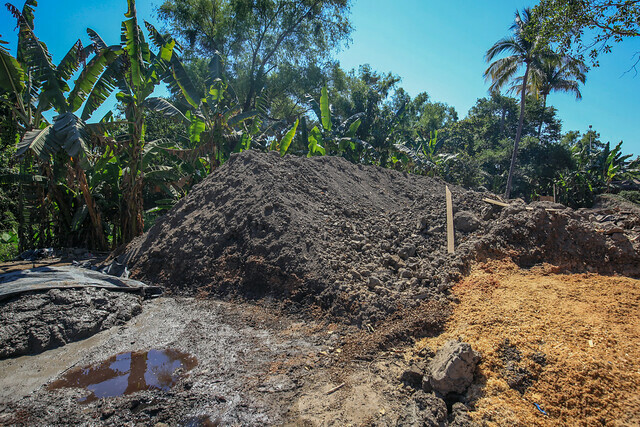 2: The three components of the adobe bricks, manure (left), dirt (center), and sawdust (right). They originally used straw, but I was told that sawdust is a more easily obtained resource. 3: These components are combined together with water to form mud and are pressed into a mold like this man is displaying. 4: The bricks are then allowed to try in different stages. First laying flat of the ground, and then stacked as shown. 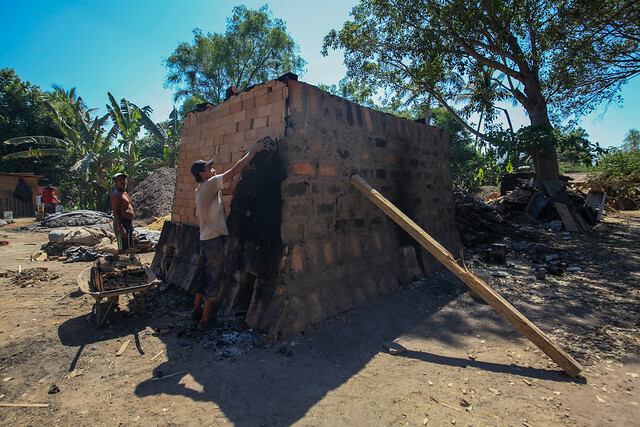 5: The bricks are then stacked into a pyramid shape and a large bonfire is built using wooden refuse to cook the bricks. In the past local lumber was used. The heat makes the bricks lighter and stronger. 6: When I first saw the pyramid, I thought it was a large oven. It is not, because after the bricks are fired, the entire pyramid is disassembled. 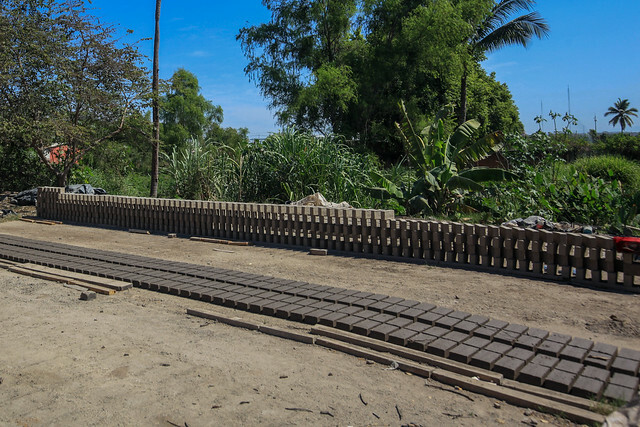 7: The finished bricks are then sorted according to color, where the bricks burnt black are the cheapest, and the ones with a deep red color are the most expensive. 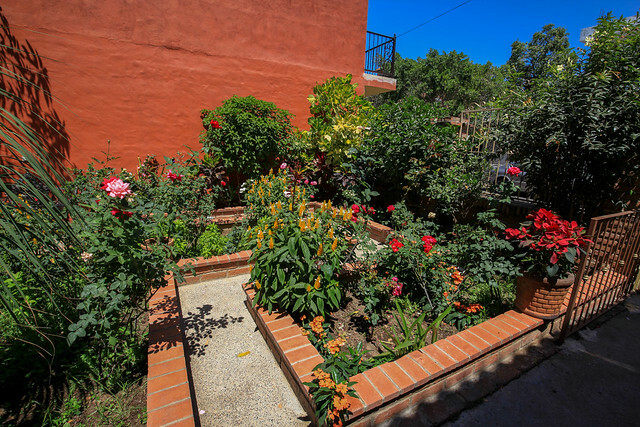 8: Here you can see a planter with the deeper red bricks used for accents. The far wall was built with bricks, but has had a layer of plaster and paint applied. 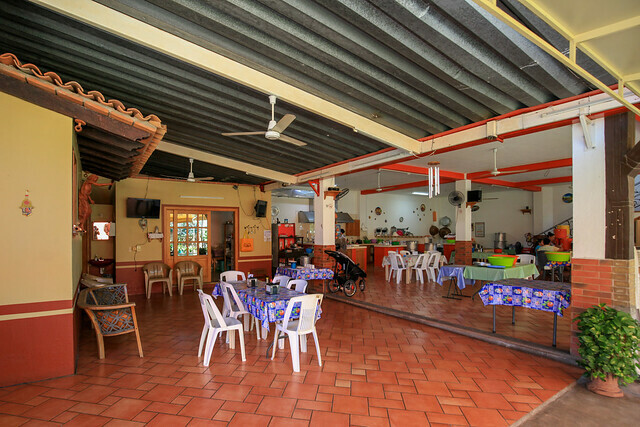 9: The inside of this tamale restaurant has highly polished adobe bricks for the floor, columns partially built with bricks, and specially shaped adobe roof tiles on the building to the left. 10: Another example of burnt adobe crescent shaped roof tiles in many shades of of reds and burnt blacks.